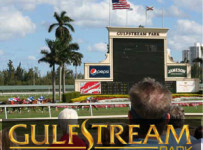 Gulfstream Park plans an 11-race card Friday, with a first post of 1:15 PM. Three stakes races are planned, starting in race 8 at 5:06 PM. They are $100,000 races: The Skipaway, Appleton and Orchid. Those should make for some exciting wagers, as the Rainbow 6 grew again Thursday, to $2.53 million as the carryover. 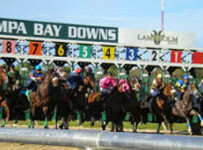 Four favorites won yesterday under showery conditions where 5 of 6 races were taken off the turf. With the many scratches, just 63 starters ran on the day, with 34 in the Rainbow sequence. 145 were winners of $1,309.52. The Late pick 4 and 5 paid $66 and $687 respectively as the high odds winner the last 6 races was 12:1. The Rainbow 6 carryover commence in race 6 with an approx. post time of 4:02 PM. 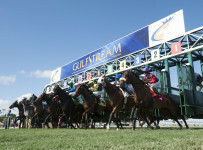 Gulfstream will pay out the mandatory payout and have minimum pool guarantees for the late wagers on Saturday. The Late Pick 4 guaranteed pool is set at $750,000, the Late Pick 5 at $500,000. The Super Hi-5 on the last race will pay on 4 of 5 or 3 of 5 also. We think two long-odds wins will be needed for a single winner in the last 6 races on any race day.